New Delhi: Promising his wife, Ratan Kaur, that he would be back soon, 36-year-old Hari Ram left his house to attend a public meeting at Amritsar’s Jallianwala Bagh on the evening of April 13, 1919. Kaur had prepared a special rice pudding (kheer) on the occasion of Baisakhi, the Punjabi New Year, and the family was to celebrate together. A lawyer by profession, Hari Ram kept his promise. But he returned with clothes soaked in blood due to two bullet wounds. This year marks the centenary of the Jallianwala Bagh massacre when British troops, commanded by Brigadier-general Reginald Dyer, fired upon the gathering, including men, women and children who were at the site to take part in the Baisakhi festival. Speaking to Gulf News from Amritsar in Punjab, Hari Ram’s grandson Mahesh Behal, 73, recalls: “My grandmother, who died in 1955, often related the horror story of Jallianwala Bagh and how, after her husband’s death ,she was suddenly left alone to look after two children, aged four and two. Like her, hundreds of families were left grieving in a matter of minutes. Ever since that day, Baisakhi, one of Punjab’s largest religious festivals, has never been celebrated in our family. In fact, she never allowed any family member to venture into the place again. I visited the site for the first time in 1965 to pay homage to the martyrs. Many such heart-wrenching stories are now part of a 244-page book, Eyewitness At Amritsar — A Visual History of 1919 Jallianwala Bagh Massacre. The book contains an account by Dr Mani Ram, as he recalled the death of his 13-year-old son, Madan Mohan. “Jalianwala Bagh is at a distance of about three minutes walk and is the only open place near my house,” Ram said. “My son Madan, along with his playmates, used to visit this open square to play almost daily. Lala Guranditta, who was shot twice in the leg, also recounted the horror. The book by two London-based Sikh historians, Amandeep Singh Madra and Parmjit Singh, to be released on Friday in London, also contains more than 100 photographs that are being published for the first time. Author Madra told Gulf News: “The book is a compilation of dozens of testimonies — an eyewitness account of victims and also perpetrators who are all now dead, but their statements were recorded after the incident. He said that the book has been written for posterity, as neither the British, nor the Indian governments have an accurate figure of the dead and the wounded that day. “The British had locked down the Bagh after [the killings] so that no one could go and see the horrifying aftermath of what had been done,” he stated. India has been demanding an official apology from Britain for the Jallianwala Bagh genocide for years. But in February, Members of Parliament in the Lok Sabha, Shashi Tharoor (Congress) and M.B. Rajesh (Communist Party of India-Marxist), urged the MPs to pass a resolution demanding Britain’s apology. The UK parliament held a debate on the topic in the British House of Commons, called by Conservative Party MP Bob Blackman. While Blackman said he hoped to see an apology from the British government, Mark Field, UK Foreign Office Junior Minister, said that he was reluctant to apologise for something that had happened in the past. More than 20 MPs from across the party ‘supported’ the need for an apology on the centenary of the tragedy. But, the UK government made it clear that, while they feel regret for the incident, they would not be issuing an apology. On Wednesday, though British Prime Minister Theresa May described the Jallianwala Bagh massacre as a “shameful scar” on British Indian history, she stopped short of a formal apology. During a visit to the massacre site years ago, England’s Queen Elizabeth II had removed her shoes before entering the memorial. But no apology was forthcoming. In 2013, David Cameron became the first Prime Minister to visit the site and described the massacre as a “shameful event in British history”. But again his regret fell short of issuing an apology. Time and again, demands for an apology have been raised not only by the diaspora, but also by the members of the Parliament. But the narrative has remained the same. 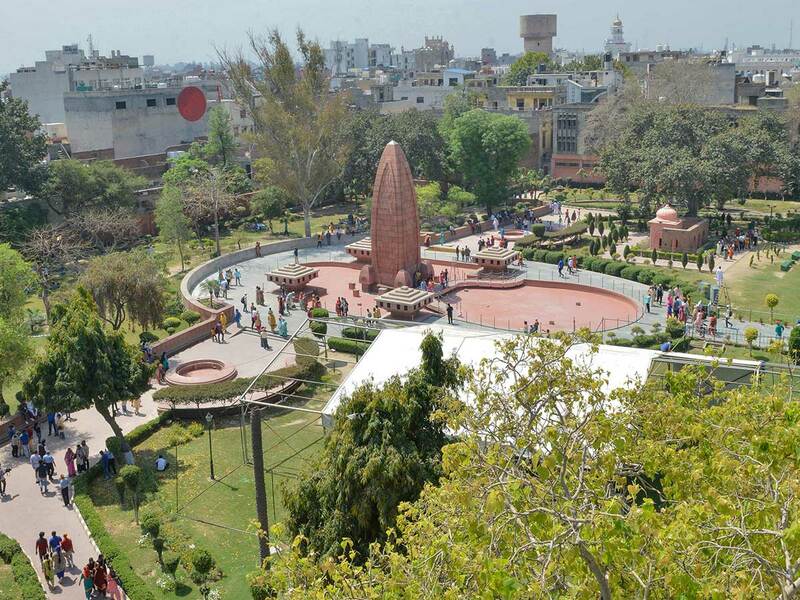 Jallianwala Bagh (garden) is situated close to the Golden Temple, also called the Harmandir Sahib, in Amritsar, Punjab. It is a public garden and an iconic landmark. 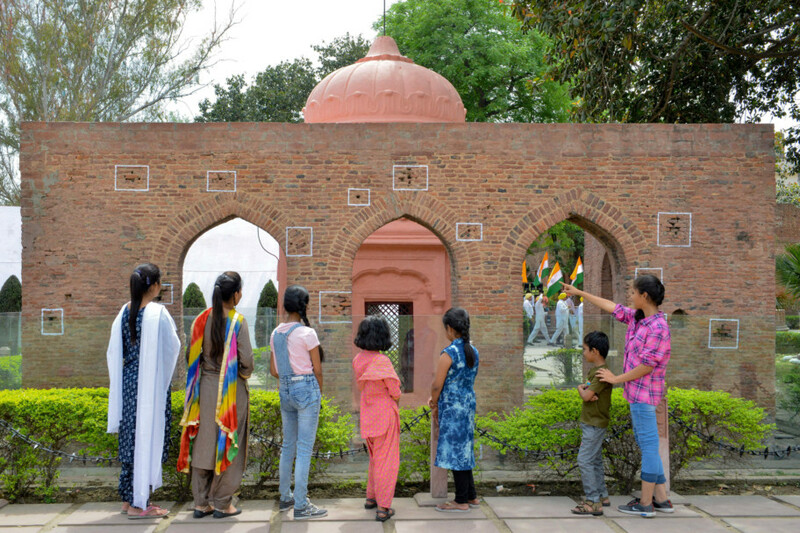 A memorial of national importance was built in the garden in 1951 to commemorate the massacre of peaceful civilians, including women and children, on the occasion of Baisakhi, the Punjabi New Year on April 13, 1919. A portion of a wall still bears the bullet marks. The well, into which many people jumped to save themselves from the firing, has also been preserved. What was the Rowlatt Act? Passed by the Imperial Legislative Council in February 1919, the Rowlatt Act enabled the British government to imprison anyone suspected of plotting to overthrow them for as long as two years without trial and also to try them summarily without any jury. Based on the report by Justice S.A.T. Rowlatt, it replaced the Defence of India Act, 1915, instituted during the First World War, with a permanent law that gave the British more power over Indians. The repressive legislation was strongly opposed by Indian leaders, including activists Madan Mohan Malviya, Mohammad Ali Jinnah and Mazhar-ul-Haq, all of whom resigned from the Council after unanimously voting against the Act. On April 12, a meeting was held in Amritsar, where a series of resolutions were approved against the Rowlatt Act and an announcement was made of a public meeting the next day. On Sunday April 13, 1919, the day of Baisakhi, people congregating in religious and community fairs, gathered at the Jallianwala Bagh. Convinced of a major insurrection, Brigadier-general Reginald Dyer had banned all meetings, but this notice was not widely spread. Thus, a large number of Sikhs, Hindus and Muslims from several villages had come, unaware of the peaceful protest meeting to be held to condemn the arrest and deportation (under the Rowlatt Act) of two national leaders Saifuddin Kitchlew and Satya Pal. An hour after the meeting began — at 4.30pm, Dyer, enraged at the public gathering, brought two armoured vehicles mounted with machine guns. However, the vehicles were stationed outside the main gate, as they were unable to enter the area through the narrow entrance. The British Indian Army soldiers were then commanded by Dyer to march into the premises. He ordered soldiers to fire at the defenceless crowd, mainly directing their bullets towards the open gates through which people were trying to flee. The cold-blooded carnage in Jallianwala Bagh was carried out without warning. Ten minutes and nearly 1,650 rounds later — until the ammunition was exhausted, the area was a ghastly picture. Apart from deaths directly from the shooting, a number of people died in stampedes at the narrow gates or by jumping into the well in the compound. The wounded could not be moved to hospitals, as a curfew had been declared. Official British Raj sources estimated the fatalities at 379 and 1,100 wounded. 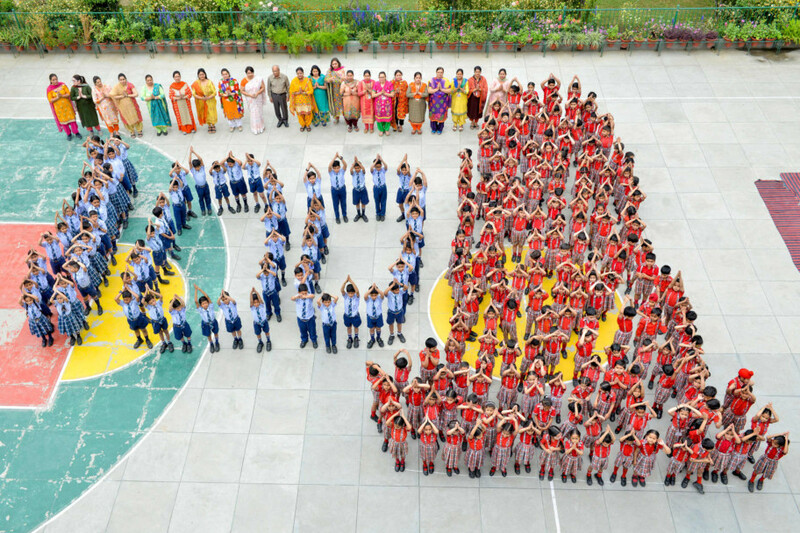 The casualty number quoted by the Indian National Congress was more than 1,000 killed and over 1,500 wounded. What did General Dyer say? The Hunter Commission, a commission of inquiry into the massacre, was ordered to convene by Secretary of State for India, Edwin Montagu, in November 1919. Dyer stated that he had gone to Jallianwala Bagh with the deliberate intention of opening fire if he found a crowd assembled there. He said that many in the crowd might not have heard of his ban on the public meeting, yet he ordered the firing at them without giving any warning. He admitted, he could have dispersed them perhaps without firing, but felt it was his duty to go on firing until the crowd dispersed. He also said, he would have used machines guns if he could manage them into the enclosure. He further stated that he did not make any effort to tend to the wounded after the shooting, as it was not his job. Hospitals were open and they could have gone there. An eight-member committee headed by Lord William Hunter, former solicitor-general in Scotland, constituted the inquiry committee. Among the three Indian members in the committee was Sir Chimanlal Setalvad, then Vice Chancellor, Bombay University, Pandit Jagat Narain, member of the Legislative Council of the lieutenant-governor of Uttar Pradesh and Sultan Ahmad Khan, Member for Appeals, Gwalior state. Differences arose over the recording of conclusions. Thus the Hunter Commission ended up giving two reports. Though both reports indicted Dyer in no uncertain terms, differences were in the degree of condemnation of the Jallianwala Bagh attack. What did the British say? What did the Indians say? What did Nobel laureate Rabindranath Tagore and Mahatma Gandhi do? What happened to General Dyer? Brigadier-general Reginald Dyer was an officer of the British Indian Army. He was commissioned in the West Surrey Regiment in 1885 and subsequently transferred to the Indian Army. Dyer was brigade commander at Jalandhar, Amritsar, in early 1919. Subsequent to the Jallianwala Bagh massacre and the two Hunter Commission reports, then Viceroy of India, Lord Chelmsford conceded that Dyer ‘acted beyond the necessity of the case, beyond what any reasonable man could have thought to be necessary, and that he did not act with as much humanity as the case permitted.’ As a result, he was removed from command and returned to England in disgrace. He suffered a series of strokes during the last years of his life and became increasingly isolated due to paralysis and speechlessness inflicted by strokes. He died of cerebral haemorrhage and arteriosclerosis in 1927. Bhagat Singh was 12, when he visited the site of the Jallianwala Bagh hours after the massacre. For many years, he carried in his pocket a packet of earth that he collected from the location. The seeds of his revolutionary path were sowed in the early days after his visit. Witnessing the injustice and exploitation of the British Raj, along with his freedom fighter colleagues Shivaram Rajguru and Sukhdev Thapar, Singh advocated the violent overthrow of the British Government in India. The three were hanged to death in Lahore Jail for their revolutionary activities. At the time of execution, Singh and Sukhdev were 23, Rajguru was only 22-years-old. Their fierce nationalism and sacrifice inspired a great number of people to join and support the freedom movement.